Post Listing Update: This Motocompo did not meet reserve despite 38 bids up to $5,600. 1-29-18 Update: This Motocompo found its way to the Mecum Las Vegas auction, where it sold for $11,000! 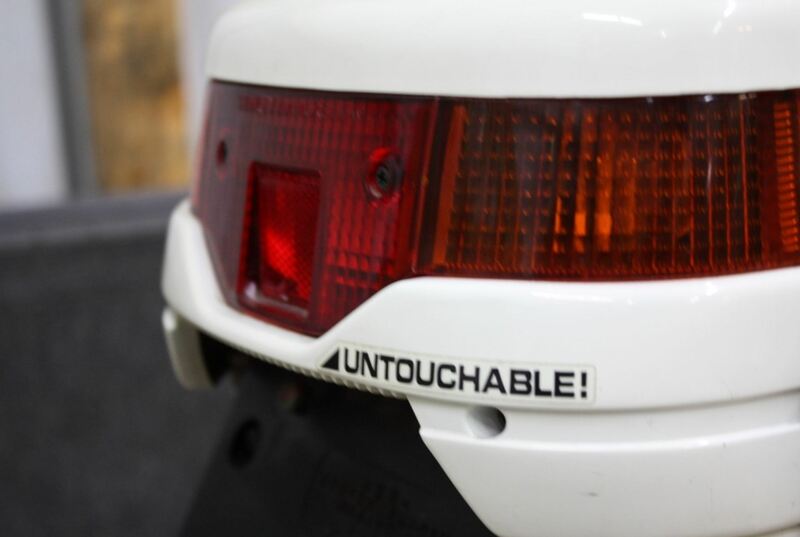 Post Listing Update: This Motocompo was pulled off of eBay, final sale price unknown. 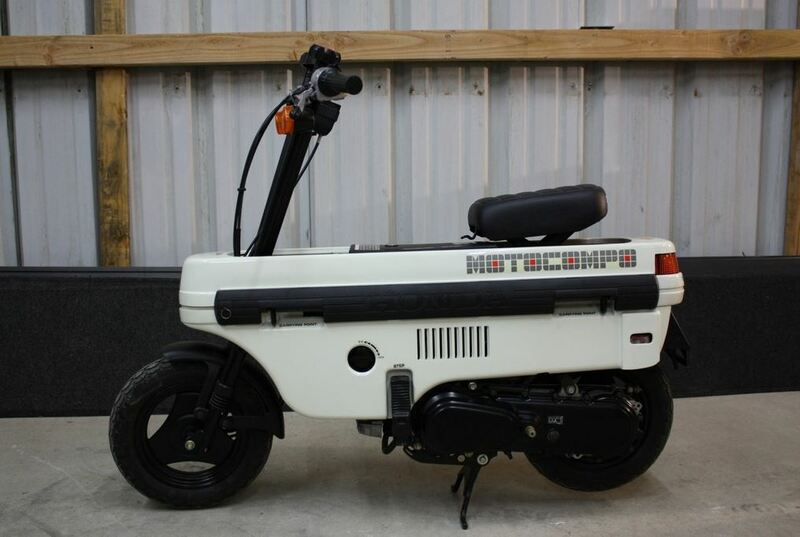 Post Listing Update: Though the opening bid was lowered to $6,750, this Motocompo did not get any action. I’ve featured a disproportionate amount of Motocompos on this site over the years because I just love how quirky they are. I’m not alone in this sentiment – they’re cult classics in the US and typically get snapped up quick. With all that said, I can easily say this is the most interesting one I’ve ever featured because it’s basically new and it comes with some great extras. Collectors, go nuts. At the time, Honda sold a subcompact car called the City in Honda, and the Motocompo was designed to fold up so that you could store it in the City’s trunk. 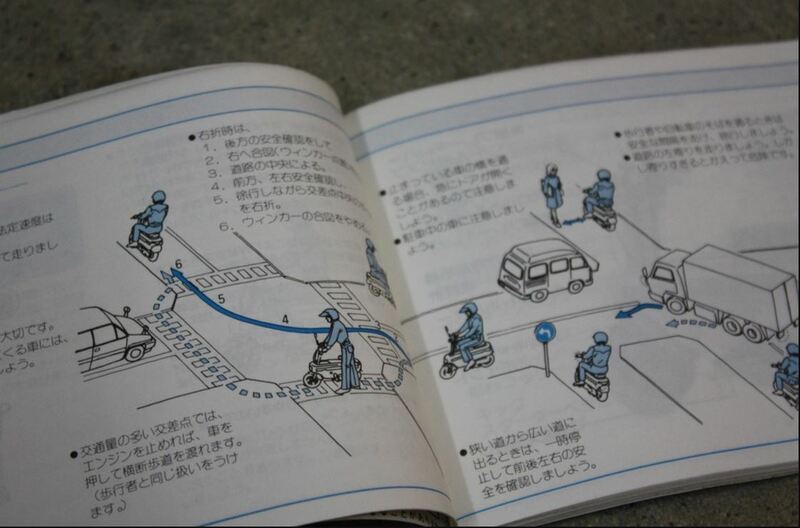 Ride into town, park your car, and then get your scooter out for mobility among the masses! The Motocompo was only offered for three years and only in Japan, so they’re hard to find anywhere, especially in the USA. The motor is a 50cc 2-stroke, and the handlebars/seat would fold up almost flush with the bodywork. The seller states that this bike was in a collection for over 35 years, and then he acquired it from Japan in 2015 with the paperwork required it to register it in any state. If you want him to handle the title, he’ll do so for $250. What excites me much more than the zero mileage is the what the seller is including with the sale. 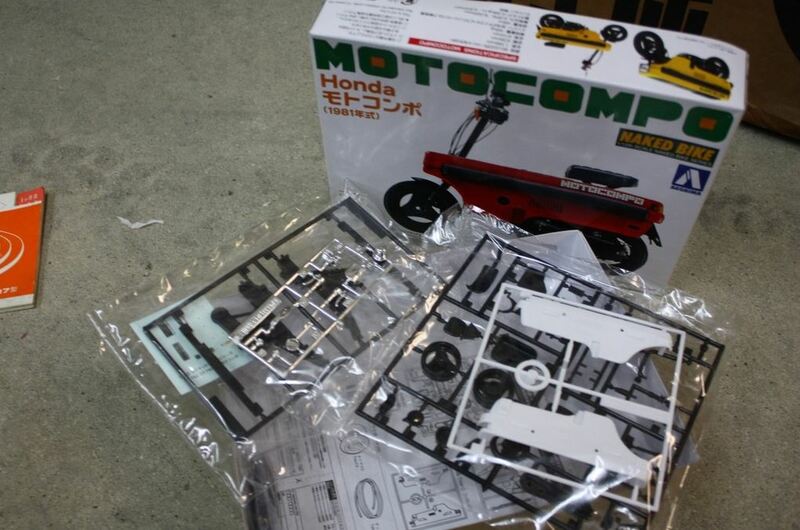 In addition to the original books, manuals, and some parts, it comes with the original box, and even a Motocompo toy that’s in color-matching white! The bike is not perfect – there’s a small paint flaw on the left rear. But this is as good as I’ve seen when it comes to this model.